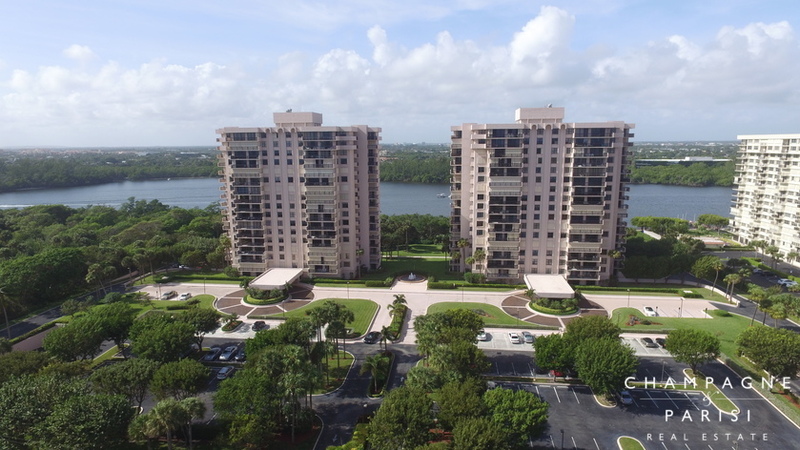 La Fontana is a gorgeous waterfront condo community comprised of twin towers that are situated on 10 acres of land in East Boca Raton, FL. La Fontana provides its residents private beach access and some of the most spectacular views of the Intracoastal Waterway and the Atlantic Ocean from every room; truly offering the best of both worlds! La Fontana condos for sale are spacious units ranging in size from 1,600 to 2,000 square feet, offering between two- and three-bedroom floorplans. The community’s luxurious 162 units come with the finest of finishings including updated kitchens and bathrooms, hardwood floors, split bedroom floor plans, hurricane shutters, large master suites with walk-in closets, and balconies with sweeping panoramic views. In addition to the luxurious living spaces and unsurpassed views, La Fontana offers a variety of on-site amenities that residents may enjoy year-round. Residents enjoy access to two lighted tennis courts, heated swimming pool, spa, picnic areas, sauna, library, two exercise centers, two billiards rooms, 16 community boat docks, and deeded private beach access. The community also offers 24-hour security, concierge services, and secure underground parking. La Fontana is located just North of Palmetto Park Road at 2001 North Ocean Boulevard in Boca Raton, FL. This gorgeous community is ideally situated just across from the Atlantic Ocean close to all the action and excitement in downtown Boca Raton and Mizner Park. Also close by is Lake Wyman Park, offering recreational fields, picnic areas, and walking trails, a perfect place to enjoy a sunny Florida day. While conveniently located near some of the area's finest dining, shopping, and entertainment options, La Fontana remains just steps from the beach. If La Fontana sounds like a place that you would love to call home, you may also want to visit similar luxury condominiums like Sea Ranch Club of Boca and Cloister Beach Towers which also offer luxurious condominium living in Boca Raton. If you would like to learn more about La Fontana or any of the surrounding luxury condominiums for sale in Boca Raton, please contact us at 561-998-9015. You may also reach us by completing our simple online contact form provided below. We at Champagne & Parisi look forward to assisting you in finding your next dream home!